Join us on Friday, May 3rd to support RFA and celebrate our alumni successes! 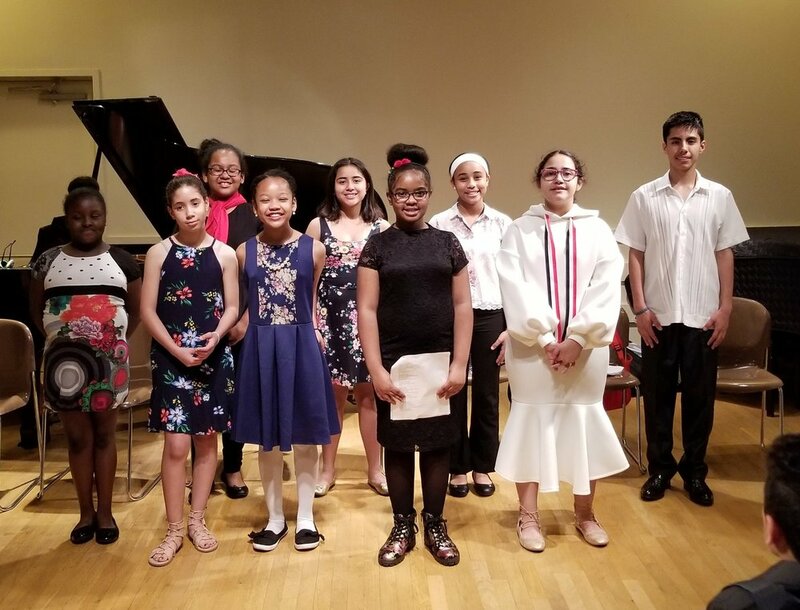 The mission of Reaching For The Arts is to bring performing and visual arts distinction to the New York City youth by affording them the opportunity to learn, practice, and perform with professional artists in order to showcase their talents citywide and beyond. Through a variety of after school programs, students gain the education and confidence in the arts to acquire skills needed to apply to specialized arts high schools and possibly pursue careers in the arts. Visit our contact page to get more information on how to volunteer or to get your school involved for the 2018-2019 Season! As we kick off our 2018-2019 season, please support our new guitar program and our vocal, visual arts, and strings programs. Hiring quality teachers is essential in challenging students to excel in the arts and beyond; and with your support, we will attract instructors who will help them explore their creativity, increase their confidence, and realize their unlimited potential. Learn more about the different ways to support RFA on our Donate page! RFA students going to see Igg Rosado perform in "School of Rock"
Horn mouth pieces, just to name a few!